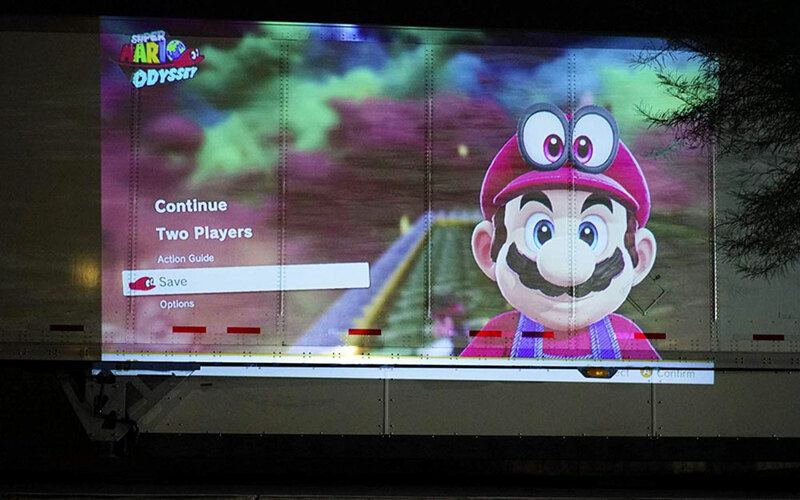 It's not likely you'll find yourself screen-less with a Nintendo Switch in hand no matter where you travel. And I'm not just talking about the 6" single-player screen built into the console itself. TVs and monitors are everywhere. But. 120" TVs and monitors are not. 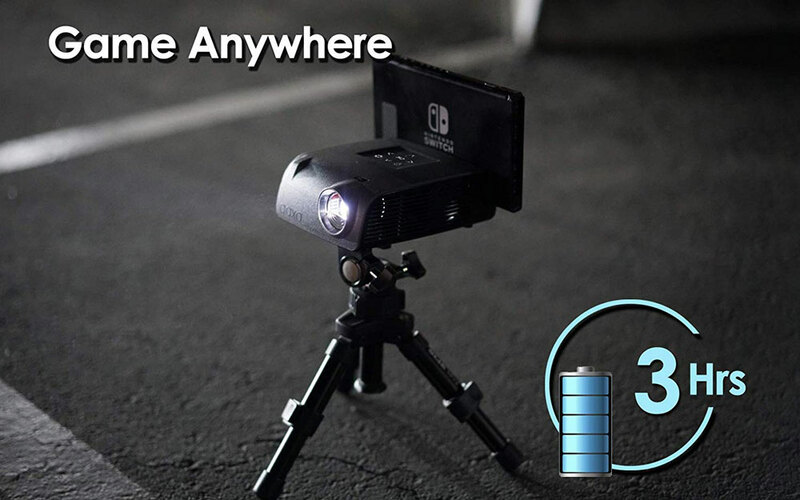 The AAXA S1 Mini Projector for Nintendo Switch is an ultra-portable take-along that can broadcast your gameplay as a 120" multiplayer screen. The S1 comes fitted with 2W stereo speakers and a 52W battery system able to show you the sights and sounds of Super Smash Bros. in macrocosm for 3 hours straight. That's when the switch is fully charged, though AAXA has also equipped the S1 with its own charging capabilities, so you can use it to charge your console (and prevent overheating) when docked in standby mode. 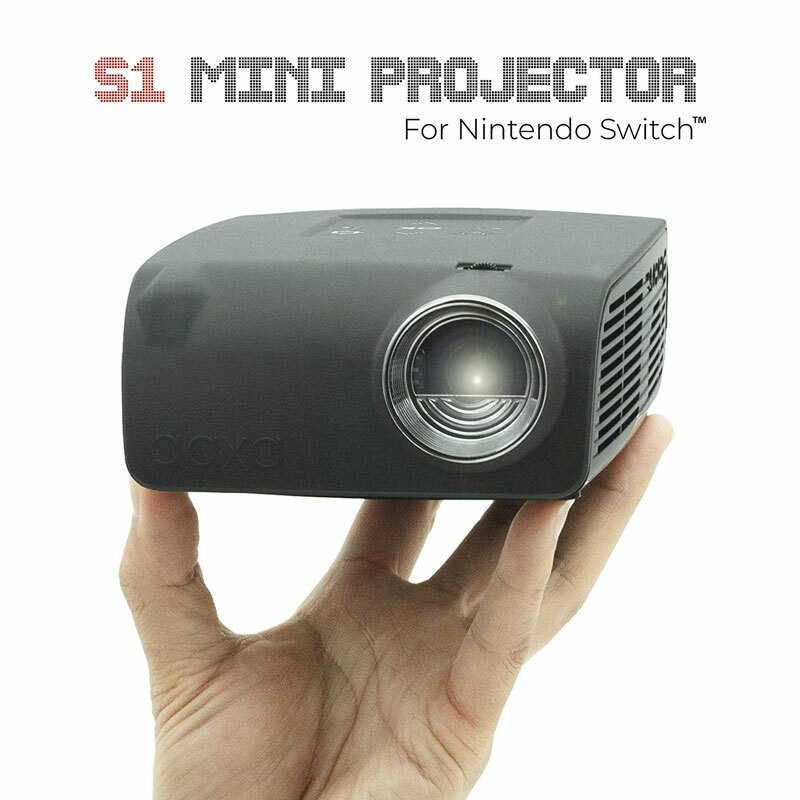 For its 120 inches of projection the S1 takes up a footprint of 6" x 4.5" x 1.9", barely bigger than the Switch itself. It weighs just 1.3 pounds. 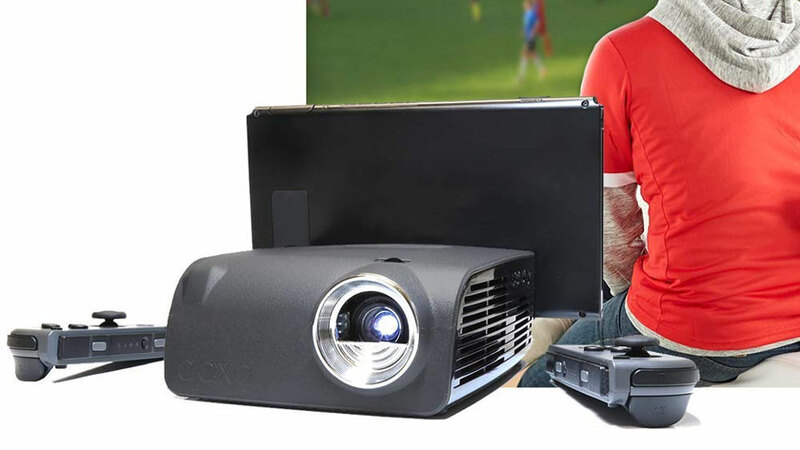 The projector package comes with a USB-C input for the Nintendo Switch and a quick-start guide.